Football goals (soccer goals) are located at the center of each opposing goal line and are the boundaries for scoring points (goals) in the game of football. 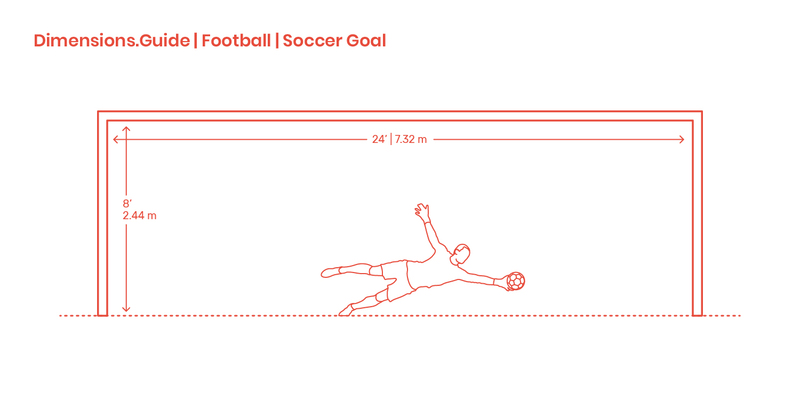 The goal is made of two vertical goal posts at 12’ | 3.66 m from center (24’ | 7.32 m total) and connected by a horizontal crossbar 8’ | 2.44 m high. Goals are constructed from wood, metal or any other approved material, painted white, and are typically capped with nets for catching the ball after a goal.